Clément-Bayard was a French manufacturer of automobiles, aeroplanes and airships founded in 1903 by the entrepreneur Adolphe Clément-Bayard (née Adolphe Clément). The name celebrated the Chevalier Pierre Terrail, seigneur de Bayard who saved the town of Mézières in 1521. A statue of the Chevalier stood in front of the Mézières factory, and the image was incorporated into the company logo. In 1894 he started construction work on a former military site in the Faubourg Saint-Julian at Mézières, to build a new factory, which would become known as La Macérienne. Clément personally supervised the work remotely using photographs taken every day and visiting the site once a week. By 1897 it was producing components and spokes for the Gladiator Cycle Company. It covered 15,000 sq.m and using a hydraulic turbine power plant, a steam room, large machine hall, a foundry, a workshop for the nickel processing, the operation with the manufacturing of nuts and spokes on a bike. The factory building still exists but in the spring of 2006 it was transformed into a cultural center. From 1903 Clément-Bayard automobiles were built in a 'state of the art' factory at Mézières, known as La Macérienne, which Clément had designed in 1894 mainly for building bicycles. In 1908 'Astra Clément-Bayard' began manufacturing airships at a new factory in La Motte-Breuil in response to a French Army decision to commence airship operations. Seven Clément-Bayard airships were completed. Aircraft test flights began in 1908 and Louis Capazza's 'planeur (glider) Clément-Bayard' was unveiled in L'Aérophile on 15 May 1908. Clement-Bayard was pioneer of welded steel tube airframe construction. Clément-Bayard also built Alberto Santos-Dumont's Demoiselle No 19 monoplane that he had designed to compete for the Coupe d'Aviation Ernest Archdeacon prize from the Aéro-Club de France. The plane was small and stable, but they planned a production run of 100 units, built 50 and sold only 15 for 7,500 francs for each airframe. It was the world's first series production aircraft. By 1909 it was offered with a choice of 3 engines, Clement 20 hp; Wright 4-cyl 30 hp (Clement-Bayard had the license to manufacture Wright engines); and Clement-Bayard 40 hp designed by Pierre Clerget. It achieved 120 km/h. Pierre Clerget designed a range of Clement-Bayard aircraft engines including a 7-cylinder supercharged radial, the 4-cyl 40 hp used on the Demoiselle, a 4-cyl 100 hp used on 'Hanriot Etrich' monoplanes, and a V8 200 hp airship engine. By 1909 Clement-Bayard had the license to manufacture Wright engines alongside their own design. Circa 1909 Adolphe Clément received permission from the Conseil d'État to change his name to Adolphe Clément-Bayard. In 1910 the Clement-Bayard Monoplane No. 1 was introduced at the Paris show. In November 1912 the Clement-Bayard Monoplane No. 5 was introduced. It was powered by a Gnome 7-cylinder rotary engine producing 70 hp (52 kW). The pilot sat in an aluminium-and-leather tub. Gnome-engined Clement-Bayard two-seat monoplane set world distance record of 255 miles (410 km) February 1913. Same year other Gnome-engined civil/military monoplanes appeared. In 1913 a three-seater biplane was introduced as part of the military project, the Clement-Bayard No. 6. It was configured for two observers in front of the pilot, and was powered by either a 4-cyl 100 hp (75 kW) Clement-Bayard or 4-cylinder Gnome engine. At Olympia Aero Show, London, March 1914, exhibited an all-steel armored monoplane. Clément-Bayard produced a steel scouting monoplane powered by either an 80 hp (60 kW) motor or a 100 hp (75 kW) Gnome et Rhône engine. The nickel steel armour was designed for protection against rifle fire. 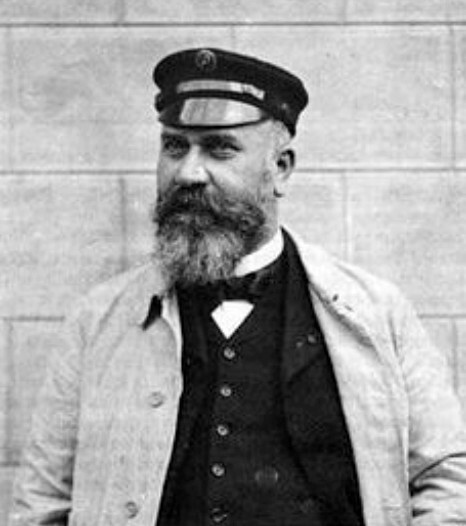 Adolphe Clément ceded control of Clément-Bayard to his son Maurice in early 1914, but the consequences of World War I for the company were disastrous. The La Macérienne factory at Mézières was lost to the Germans, the machinery was shipped back to Germany, and the forges, foundries and smelter were destroyed. The gutted building was used as an indoor riding school for German officers. Automobile production in Levallois-Perret, Paris, was suspended as the factory was turned over to war production, military equipment and military vehicles, aero engines, airships and planes. In 1922 the Clément-Bayard automobile company was sold to André Citroën, in whom Adolphe Clément also invested financially, and the factory at Levallois-Perret became the centre of 2CV manufacturing for the next 40 years. In 1922 the company was broken up and the factory in Paris was taken over by Citroën. In 1928 Clement-Bayard sold his factory to Citroen.